Holly Carter cleans bags with a leaf blower. Holly Carter doesn't have a good estimate on how many plastic soil bags wind up in landfills, but judging from the "hundreds of thousands" she sees enter the Garberville-Redway area on flatbed trucks every grow season, it's many. In addition to the high carbon footprint associated with trucking dirt into our rural and rugged region, out-of-town soil takes another unexpected environmental toll. While the bags, most of which are made with low-density polyethylene plastic (#4 LDPE), do bear a recycling symbol, the chances of them actually being reincarnated are slim. 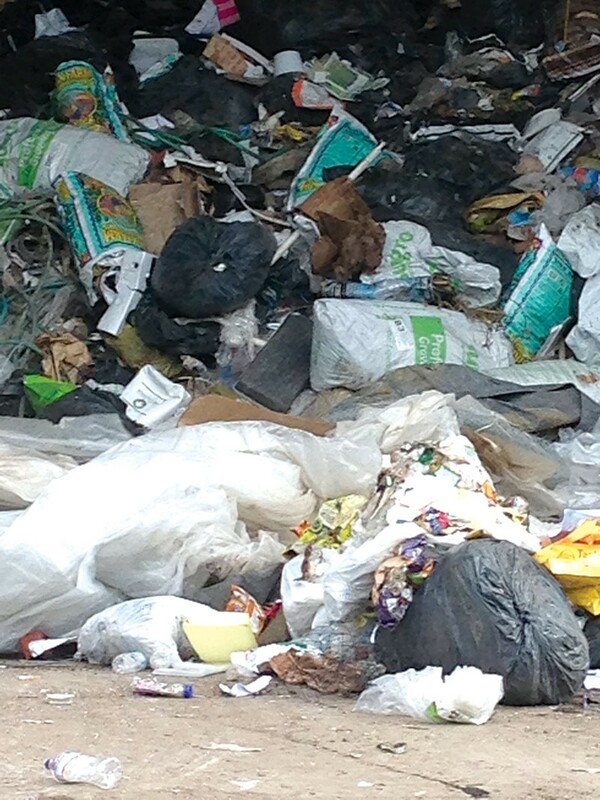 Part of that is due to the high-volume, low-weight nature of plastics. Jill Duffy, executive director of Humboldt Waste Management Authority, says transporting bags to recycling brokers in the Bay Area yields a poor return on investment. "It's just not the same economy of scale as aluminum or paper," says Duffy. "The commodity value is low. It costs us more to transport than it's worth." Should a bag make it to a broker, it often faces a long international journey with the possibility of being turned away at the border. Most plastics are recycled in China, but so many boatloads of bottles and bags were arriving dirty and unfit for processing that that country's own landfills began to groan with American waste. In 2013, China enacted the "Green Fence" policy, turning away ships carrying contaminated goods at the port. Plastic soil bags, which are used to contain dirt are often, well ... dirty. Neither consumers nor recycling authorities had come up with an effective way to clean them, according to Carter, who says she has picked up "thousands" as part of her work with Hum Love, a Southern Humboldt-based community clean-up project. "We saw a lot when we were cleaning in Alderpoint," she says, "It was mindblowing ... you could take them to town and throw them away, but instead they were hucked over a hill." Carter began calling local recycling plants. None are currently sending the bags on to be recycled. "A recycling symbol says the technology exists, not that it's done," says Carter. She decided to get proactive. 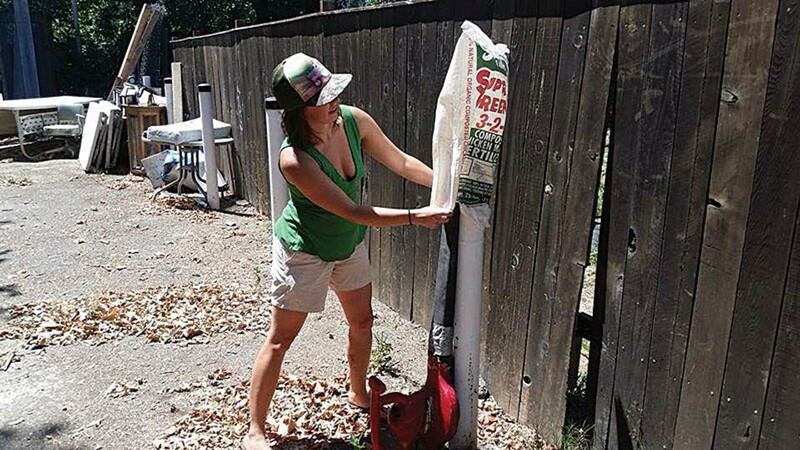 She put the word out to her friends in the industry to bring her their empty soil bags. Then she and a few friends brainstormed the best way to clean them. A leaf-blower attached to a pole proved to be a quick and effective fix. Carter has registered online as a bag drop off point, and says that once she has a pallet of clean bags she'll begin searching for a buyer. She cautions that the project is still in its "research and development" phase. Right now she is looking for another site to process the bags, and communicating with the waste management companies about a pilot program. She says education about true sustainability is key. "If the plastic bags from your grow are ending up in landfills, your grow is not sustainable," she says.